« An exceptional sense of orchestral balance », « elegantly precise », « a refined colourist » – just some of the glowing terms used to describe the direction of Nicolas Chalvin. A fully rounded musician, he both cherishes and practices the three facets of a conductor’s role: operas, symphonies and chamber orchestras. 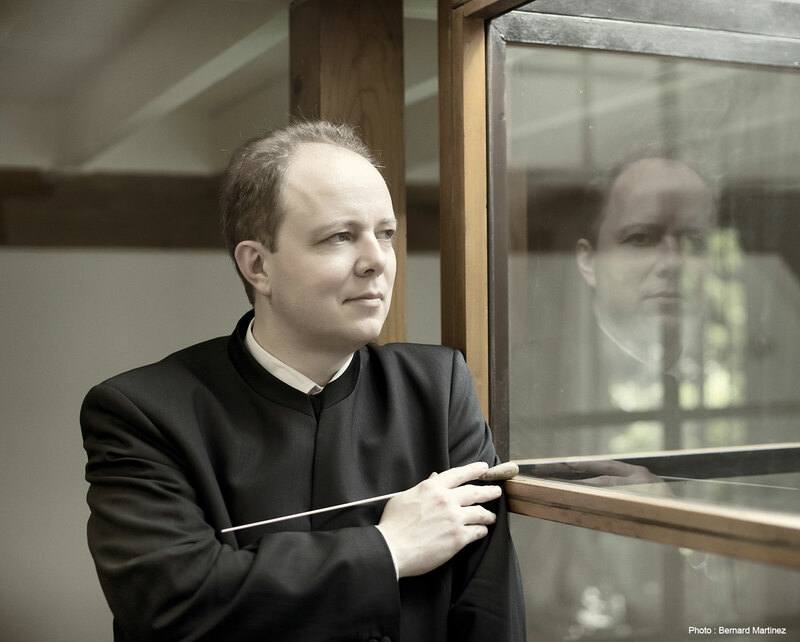 Nicolas Chalvin began his career at the Lausanne Opera, where he was inspired by Armin Jordan, who encouraged him to trade in the oboe for the baton. There, he led a wide range of repertoires – Gluck’s Orpheus and Eurydice, Messager’s Véronique, Offenbach’s Parisian Life, Pascal Dusapin’s Niobé, Philippe Boesmans’ Reigen and Verdi’s The Troubadour, as well as Carmen, Madame Butterfly and The Trojans, among others. « With opera, it’s the conductor who breathes life into the drama, and the conductor who draws together the various elements of the orchestra pit to create perfect harmony », he enthuses. Before long, Chalvin was making frequent forays into the world of symphonies, performing as a guest with the Orchestre National de Lyon and the Orchestre Philharmonique de Strasbourg, as well as at orchestras in Innsbruck and Geneva. In 2009, he was appointed musical director of the Orchestre National des Pays de Savoie, which he soon brought to international prominence. 1969 Born in Moselle, France. 1991 Wins first prize for oboe at the Conservatoire de Lyon. 1994-2002 Solo oboist at the Orchestre National de Lyon and the Orchestre Philharmonique du Luxembourg. Performs with the Orchestre Philharmonique de Radio France and the Stuttgart Radio Symphony Orchestra. 2001 Meets conductor Armin Jordan. Directs Mozart’s Lucio Silla in Lausanne. 2009 Appointed musical director of the Orchestre National des Pays de Savoie. 2011–Present Records rare and unreleased works such as Sophie Arnould by Pierné (Timpani), Aucassin et Nicolette by Paul le Flem (Timpani), Un jour au concert avec les bidochons (Fluide Glacial) and more. 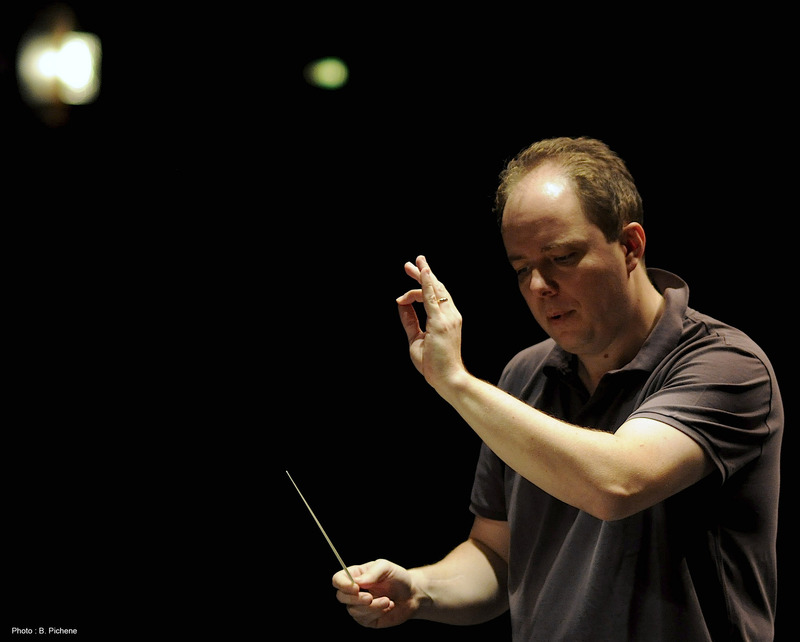 2002–2019 Directs the Orchestre Philharmonique de Radio France, the Orchestre Philharmonique du Luxembourg, the Orchestre National de Lyon, the San Carlo National Theatre Orchestra in Lisbon, the Haïfa symphonic, the Athen National State Orchestra and a number of operatic productions, including Madame Butterfly (Puccini), Orpheus and Eurydice (Gluck), Parisian Life (Offenbach), Carmen (Bizet), The Nose (Shostakovitch), The Rake’s Progress (Stravinsky), Eugene Onegin (Tchaikovsky), La Traviata (Verdi) and The Trojans (Berlioz), among others, in the opera houses of Geneva, Lausanne, Zürich and more. Le Bal de Béatrice d’Este, Le disque est distingué parmi les 25 disques «2015» sélectionnés par le New York Times. “Garichot avoids taking cheap pot shots at the piece and keeps the original dialogues; it is not a political satire so a radical rewrite to make it all relevant is unnecessary. 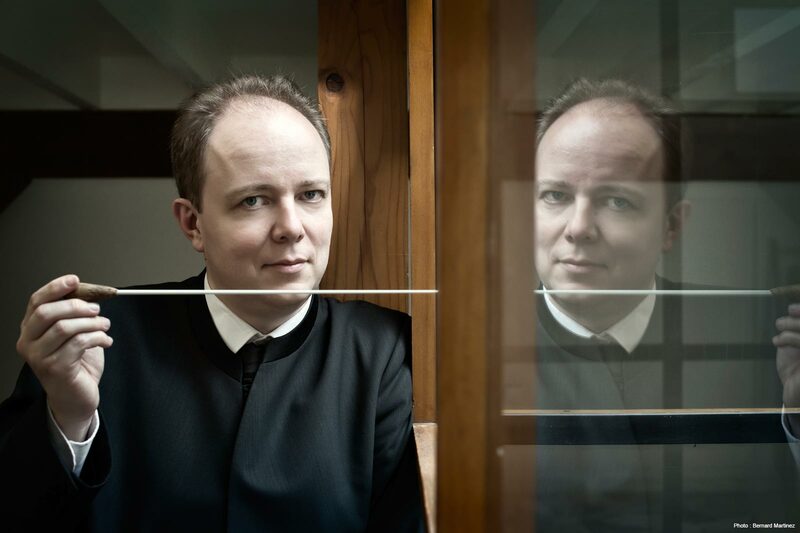 At the risk of being labelled a granny and presented with a pension book, I found the experience irresistible; not least because Nicolas Chalvin’s inspired conducting combines oomph and sophisticated, dovetailed textures.